last night i went out with my girl, miss k. good ol' dinner-and-a-movie. we took turns reaching for the check, pulling out chairs, and opening doors for one another. chivalry is alive and well, i say. we started with blue valentine at the fleur. if you're not from around here, the fleur is this great local theater that features films that you generally can't find in other theaters in des moines. (aka: any indie movies.) they have yummy desserts and snacks. and they serve booze. * and by booze i mean they have like, two types of wine and and a few different beers that are all terribly overpriced. but, i suppose everything is when you go to the movies. anyway, i was really excited to see blue valentine. i had geeked out, and watched all kinds of clips and interviews on imdb. i don't know what your taste in movies is, so i hesitate to recommend it to the general public. but for me, it was really great. after the movie, we went to the continental for tapas. it was amazing. we shared shrimp adriatico, crab cakes, and pork tacos. every bite was incredible. my mouth is watering just thinking about it all. they had a great little jazz band and a good crowd going. to balance out the upscale, we met up with some friends at the high life lounge for some cheap beer and low-brow conversation (topics included our love for canada, why the u.s. needs tim hortons, and the fact that it's okay to only like really good or really bad beer.) the high life is this retro dive complete with shag carpet, wood paneling, and vintage decor. esquire even named it one of the best bars in america! it's a good, low-key place to hang out. anyway, we had a great time, laughed a lot, and stayed out way too late. miss k was the perfect date. *** did anyone else notice the creepy faces reflecting in the window of the continental? (behind the jazz band.) at first i thought it was a family of ghosts who must've died crossing the street to get to the continental... but then i realized it's just a huge wall-hanging thing on the building across the street. Love your blog but never get around to commenting... however I have to chime in that we (U.S.) needs a Tim Hortons! Everytime Steve goes fishing I make him bring back as many cans as he can carry over the border. In fact, I just used up our last can and he won't be back to Canada until August. Bummer. Love that you enjoyed a date night out, you deserve it! Been reading your blog for sometime, and amazed by your strength to raise your family while apart from your hubby, and share your personal thoughts with us. You deserve lots of hugs and nights out, cheap beer, AND a timmies! 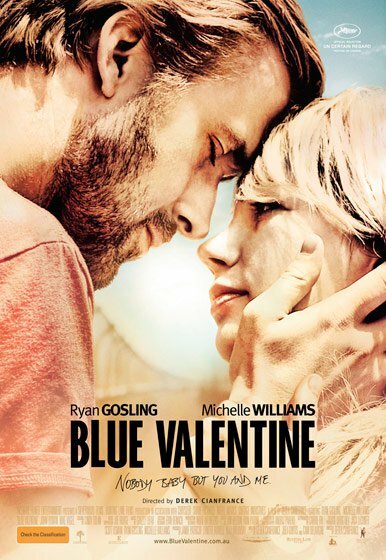 I do want to see blue valentine bad. Glad to have a good review. YES! I totally saw the creepy family faces and wondered what the ringo was going on. Fun night!!! Did you know high life was one of the restaurants that 'man v food' went to when they filmed in Des Moines? Apparently they have the best fried chicken ever. Looked like a great night out...keep up the good work of mothering/living life as a single parent! You're doing great! You always make DSM look great, and thank you for that. Iowa will always be home. I live in NY and we have TH! Looks like such a fun evening!!! Gotta love girls night. And the movie was amazing to me!!! man, i didnt' want to admit it but i geeked out too and watched a ton of interviews about the actors too and the movie. it was so good. Im glad you saw it. hahaha, love all the side notes! hey! i went to high school with katie! it's such a small world. and that is too funny about the reflecting faces in the window!!! If a moving agency has a wide network of their offices then it will be better for you. If the moving agency has its offices at both the source and destination end then your relocation will become very easy. There wide network is helping many people to make their relocation process very easy and comfortable. Many people are taking the benefits of their valuable services.